Do you have a big dream in your heart? 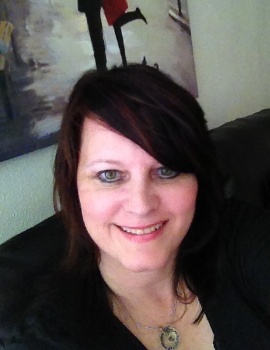 My big dream is to travel all around the world, to speak at women’s conferences, for missions and pleasure trips. One of those dream places is Africa. Now I have the opportunity to go! Pastors Patrick and Rose Mudenyo have asked me to speak at their women’s conference at their church, Revival Praise and Worship Church, in Bungoma, Kenya, East Africa, in December 2013. This is a legitimate, credible opportunity that I have checked into to make sure it is not a scam. Pastors Patrick and Rose are people of integrity, with 8 churches in Kenya, who help care for orphans in their home. 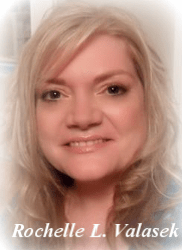 My precious friend Rochelle Valasek, aka “Shelley,” wants to go to Africa one day, too, and has created a fundraiser webinar to sow into this harvest field. I viewed it today and just bawled crying! It is so good and so encouraging about your calling and your puprose! You will love it and be so blessed. She shares how when God calls you to go somewhere, you go! Jesus told His disciples, “Follow me.” They left everything and everyone they loved in order to follow Him. Shelley teaches on each of the 12 disciples who followed God. To view the webinar, you must donate an amount of at least $5. If you feel led to donate more than that, you can. Just click on the Paypal donate button below and then you’ll receive the link to view the GoToWebinar. Click on the Paypal donate button below to see this anointed webinar! If you have any problems, email Shelley at shelleyvalasek@gmail.com or me at elizabethdjones@gmail.com. 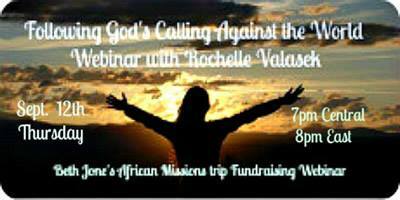 Please help me and my husband Ray get to Africa this year by donating to this fundraiser webinar. You’ll be sowing into an amazing opportunity for God to bless His precious daughters in Africa at this conference. Thank you so much for your support, prayers, and love! May God ABUNDANTLY BLESS YOU!